Holy crap. 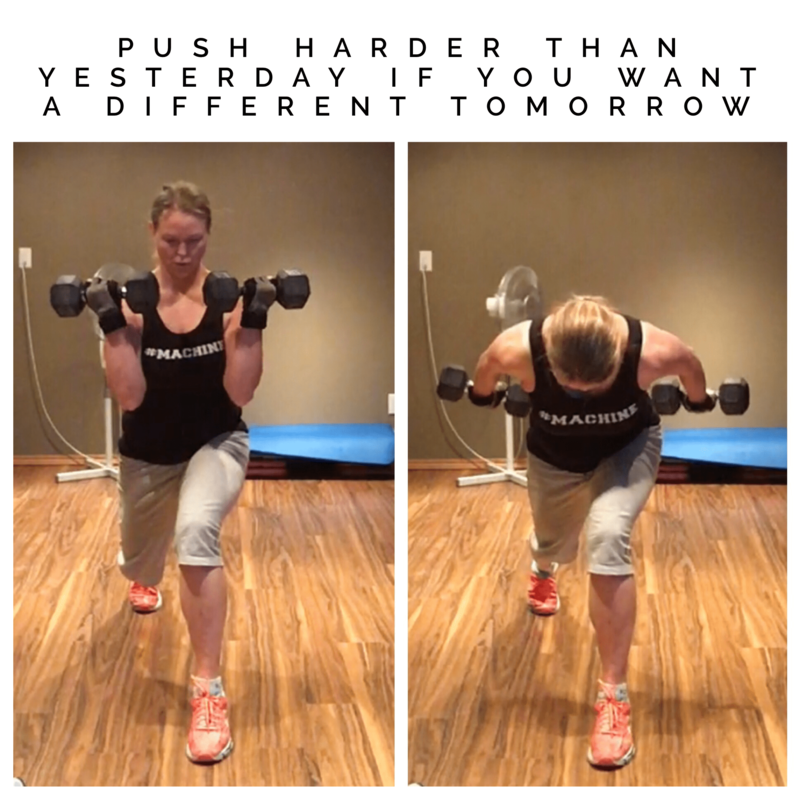 My first Beast workout of my current 91-day challenge was super hard today! I can certainly tell I have been slacking in the lifting department!! 40 minutes of lifting this morning and worked the whole body including the core! I am feeling like total body rubber at the moment! Time for a superfood recovery shake and some eggs for extra protein! I hope you have a healthy and active day!! Be sure to read about WHY MUSCLES BENEFIT OUR HEALTH….gosh there are so many benefits and it is totally worth the work! Any questions, ideas, thoughts? Be sure to reply to or comment on this post! you may also contact me here directly if you wish!! Was a rough conditioning workout this morning after going 3 weeks without lifting. Whoa! I was totally grunting, sweating and wishing I had kept up with regular lifting at least a couple times a week. I have been so preoccupied with my core fighting program the last few weeks that I didn’t take the time to lift! Regrets! 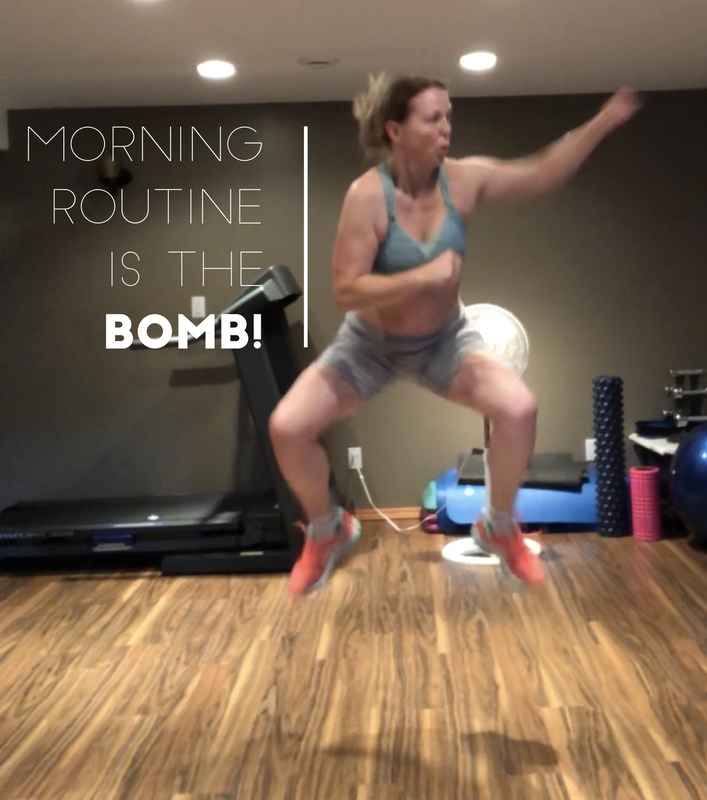 I was thinking today about how hard it can be to get up early in the morning and get a workout in… especially if you know it is going to be a super hard one! …and today certainly was! BUT…It’s true though that if you are working to change your health and your body that it will take hard work to make the changes that will bring you to your goals. Nothing that is easy really brings about great results in our life, does it? I remember over the years that I have pushed myself to work hard, do things right and keep going no matter what. I have also drilled this into my kids as well…like constantly… I have always believed that if you work hard, give 110% to everything you do, that you will not only feel better about yourself …. you will also prove to others that you are reliable, have a good work ethic and thus prove valuable not only to the organization you work for (or your own business), but will be valuable to all other people in your life too! When you apply this to health, it may be hard, but forging ahead, not wasting time, working hard and not giving up will definitely be the way to achieve your goals. The truth is, it is hard to do, but it is also hard NOT to do. Its hard to look in the mirror and see a picture of unhealthiness, isnt it? Take a few minutes today and acknowledge that “hard work will always be rewarded”! It in fact is always rewarded in some way. We may not see it immediately or even for a period of time, but eventually the rewards will come and you will be so glad that you put in the hard work, effort and dedication. Getting up early in the morning some days can be pretty rough (I was never a morning person)… today was one of those days. Hit the snooze button too many times, really had to push myself to get up as my whole body was feeling heavy and actually quite lazy. Once I came downstairs and had a look at what workout was on the menu for today, I actually groaned. It was MMA power sculpt which is a really hard one and my least favorite of them all. Eugh! I was close to saying “to heck with it, I will do it later”, when I realized that “later” likely won’t happen. Life gets busy in the day and time slips away! I took a deep breath and just made myself do it! It was grueling and difficult for me today. I got tired faster than usual and was sweating a LOT! Was very happy when it was over and felt a sense of real accomplishment that I was able to make myself do something I really didn’t want to do…because it was good for me. I had to remind myself this morning, of the reasons that I started doing early morning workouts in the first place! The benefits of early morning workouts are incredible! Even if you are not a morning person, keep an open mind, because I felt it was impossible for me to become an early riser at one time, but once I felt the difference, I was hooked!! ROAST THAT METABOLISM for the whole day! By getting up and doing a workout first thing in the morning, the metabolism gets kicked up and makes you burn more calories and use the food you eat to replenish body and for energy instead of storing it as fat! By getting up early in the morning before anyone else in the house is awake, it prevents the potential for interruptions and allows you to be more consistent with your workout schedule. When I used to do evening workouts, there was always something in “life” interfering with my schedule causing workouts to go way too late or being missed entirely! By getting up and doing an early morning workout, it jacks up our energy to start our day! Morning exercise improves focus and mental abilities the whole day! By working out in the morning, my mind is totally ready to take on whatever tasks are lined up for the day! Exercise has proven to give even more mental alertness and prolonged energy than caffeine! I talked about self-discipline the other day and just like building on any other habit, success in achieving new habits totally build up your self-discipline “muscle” AHA!! Implementing a morning workout routine will help to increase self-discipline in many other areas of your life too then! Morning workouts have been shown to improve sleep quality. By working out in the morning, our bodies will have the healthy tiredness that we are supposed to have at the right time (bedtime!). Evening exercise can potentially have the opposite effect because of adrenaline release during exercise and may interfere with sleep quality. Another AHA for me since my sleep used to be much worse with evening workouts! To learn about 7 ways to increase your self-discipline, be sure to enter your name and email for a free download. Having strong self-discipline can totally change your life in many ways!